Home > Blog > A Survey Report of “What Bothers Passengers Regarding Online Booking of Airport Parking”. 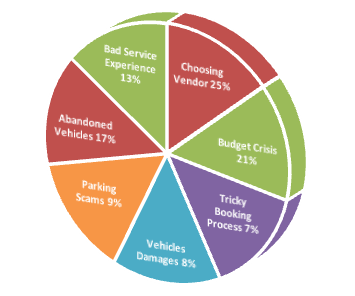 A Survey Report of “What Bothers Passengers Regarding Online Booking of Airport Parking”. Online Airport Parking is a reliable and luxurious way to enjoy travelling with the certainty that your vehicle is in a secure custody. It’s more like a relief if you are able to shun all the troubling thoughts from your mind while you are on your vacation, yet people do not feel 100% sure of this. 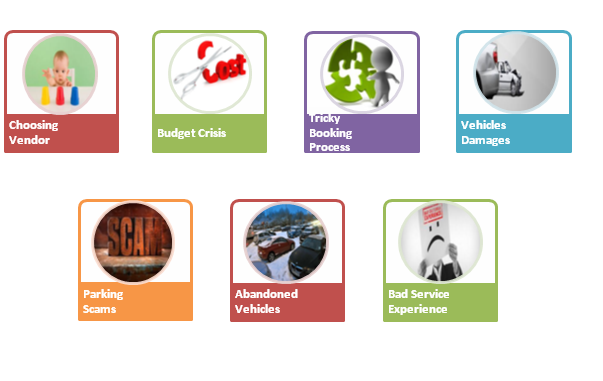 They seem reluctant to depend on any service provider with the responsibility of their vehicle. They always encountered certain level of hesitation with this. A research was conducted on the Gatwick airport to figure out the root of this problem. The goal of this research was to enable the authorities and the concerned people to eradicate this issue so that the traveller can be entertained with a modified and better travelling experience. They don’t know which vendor to trust. Difficult & lengthy booking process. Abandonment of vehicles in deserted grounds by the service. Bad experiences of previous service. These were the commonly encountered problems of both the travellers who either made advance parking reservations or not. It was admitted by almost all the people that they felt some degree of risk in hiring a service for one reason or the other. These numbers helped us identify the actual problem to which it became quite easy to suggest a viable solution! Always read the guidelines/Terms&Conditions before making a reservation. You will be asked to provide vehicle’s detail along with your travelling details including arrival & departure date/time. After that you will be needed to provide credit card info for the payment. It’s all part of a standard procedure. When you handover your car to the chauffeur he catalogs the existing damage and scratches to the vehicle. When you get your car back, you can recheck it against that catalog. If you see any further damage report it before you leave the airport. You will be reimbursed as per the company policy if the loss was ascribed by the staff negligence. Before you make your reservation, make sure that your service provider is a BPA Approved Operator. Avoid from falling for too good to be true deals and packages or sugar coated info, they are the most apparent sign of a scam service. Read the customer reviews and testimonial on the website and go from there. The companies usually mention what they do with the cars or where they store them on their website. But if you still are doubtful, you could simply ask. Choose the service provider that offers compared pricing service. It displays offers of various packages against the required days of parking. You can easily select the one that suits your budget outline. Word of mouth always weighs heavy. So, look into the suggestion made by friends and family and go from there. You could also read the customers review to establish general grounds. Do confirm that they operate under the Approved Operator Scheme. Keep these things in your mind and you will definitely travell hassle-free, stress-less and relaxed. As a suggestion, Mobit Airport Parking is the one stop shop that provides all you require and spears you from the whole above mentioned nonsense. Deciding carefully and making the online reservations in-time are the key to happy and satisfied travelling….!!! Previous PostAirport Car Parking At Luton.Next PostMisconceptions about Airport Parking & its Solutions.